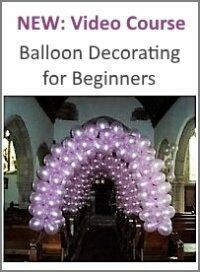 How do I attach one balloon to the other balloon if I want to make an upside down hanging balloon pillar or garland? 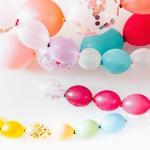 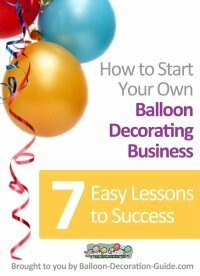 The easiest way to connect the balloons for a hanging column or garland would be to use so-called Link-o-Loon balloons (as used in the photo you uploaded). 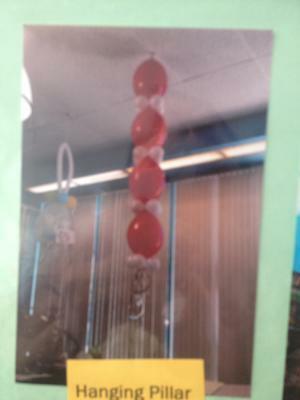 Link-o-Loons have a "tail" opposite of the balloon neck that allows you to knot one balloon to the other. 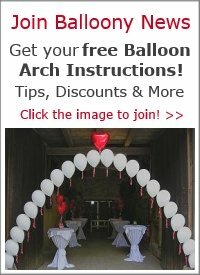 Ebay sells a huge variety of Link-o-Loon balloons and arch kits.